Short clumping shrub from mid to high elevations in Yemen. 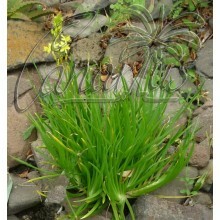 Pale green to grey obovate leaves and nice red inflorescences, held on tall stalks. 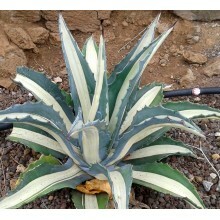 It makes a nice garden subject for the xeric garden. 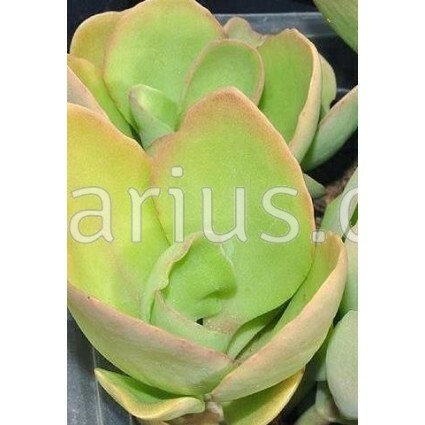 Kalanchoe deficiens is a short clumping shrub with pale green to grey obovate leaves. Nice red inflorescences are held on tall stalks, so the whole blooming plant attains 1,5 m. It makes a nice garden subject for the xeric garden. Actually, Urs Eggli reports its use as an ornamental in Arabia, Somalia and Egypt. This variety named glabra was described in 1989 from Yemen, on rocky slopes at 600-2200 m asl. 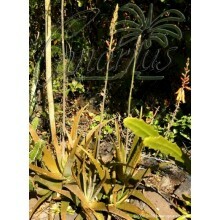 It differs from the type variety in lacking the glandular indumentum of the inflorescence. 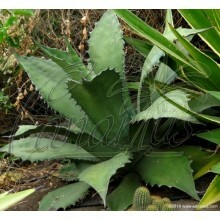 We offer a young plant from a rooted cutting. We ship worldwide.